Do we care about their demise? I have to say I do, especially Snifters. Reminds me of years ago going to the movies. Thank God Jaffas are staying - I would petition Jaffas and Pineapple Lumps going!! I was "over joyed" that Joy Bars were bought back - loved them as a child - and when we moved to Australia couldn't buy them. Also love Pinky Bars, Buzz Bars and L&P as unique kiwi items. (My "Aussie" nephew, Stephen has a thing for Pinky bars and buys them everytime he comes here. I have a half eaten pack of raspberry Sparkles in my room - been there awhile - and so I often give them a "wistfull" look - they will never come again...sob! sob! 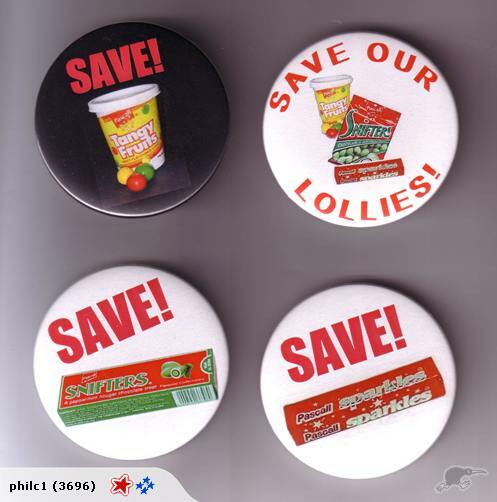 It's the end of the line for some of our most iconic Kiwi lollies. Cadbury's already stopped making Sparkles and Tangy Fruits, and now Snifters, the emerald-green, chocolate-centred sweets, have been pulled. For a good few generations, part of growing up in New Zealand has been enjoying all three at the movies. Now when we go to see a flick, the quintessential lollies just won't be there anymore. Cadbury says they're just not popular enough. But Kate Larkindale, operations manager at Paramount Cinemas in Wellington, says that since they canned their Tangy Fruits line, moviegoers ask for them about eight times a week. "People are always really disappointed to find out we don't have them anymore." So ONE News went hunting for the last of them. They were only partly successful - a shop with Pascall family bags of the Snifters still, a few Sparkles, but no Tangy Fruits - in fact, it's doubtful you can get them anywhere. And once the first two treats are gone, they're gone. ONE News dished the ones they got out, and let a grateful few know their source. Recipients were outraged. "I love Snifters. To think you can't even get them at movie theatres, it's a disgrace." one said. Larkindale senses their absence keenly, too. "I don't really think you can replace them. They're such New Zealand icons in the cinema and you can put M and M's in but they're not the same." If you still want to get your hands on Sparkles, keep your eyes peeled and be quick - a few packets are still waiting in certain dairies. Location : Heaven. It's cold up here. Next thing you know, they'll pull Jelly Tip Ice Creams. "Ooh, not popular enough." I Google'd it and yup, their share price took a dive. HAVE THE WHOLE COLLECTION PUT ASIDE TO SHOW THE GRAND CHILDREN WHAT GREAT SWEETS THESE WERE. 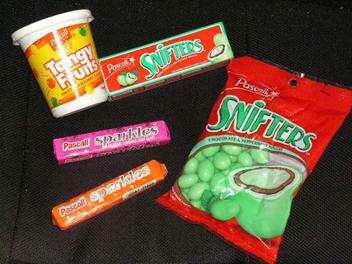 "Y'know, in MAAAAIIII day, we had these lollies called SNIFTERS! And Tangy Fruits, and Sparkles ... and they only cost about $5 a bag!" Oh, Brad, you crack me up: I want it wrapped in gold leaf, tied with a biggish red ribbon in a big bow, and a photocopied page of the Bible shredded and sprinkled on the CD to help guide it safely to its new owner. Other donations also accepted. (No flowers). Lucky you didn't asked for it to be wrapped around Rachael's tomb (I only do that on Wednesdays). I was gonna ask for Tutenkhamun's, but if you're gonna be in Israel on Wednesday, Rachael will do fine. Only every OTHER, Wednesday, unfortunately! Then I expect a package full of sand with Cherish nestled inside, in a fortnight. Take your time. From the same beach in LA where the video was shot? I hope I'll remember to remove the syringes! Have a nice day! How rude. Go to your room. Did you know that video was flmed on a very cold day on Malibu beach (and also in a dirty swimming pool - the underwater bits). Some guy made those mermen tails & Herb Ritts directed it, so there! I also have it from a reliable source that Madonna (as in "the" Madonna - y'know, the one with the pointy bras) had a cameo in the video. Don't quote me on that, I can't find the webpage that told me. Is that your mum dressed up as Madonna, Brad? What - my source, or my signature photo? Cos that photo is Madonna, circa 1982. I can tell - both photos are much of a muchness. I like the innocent pretty look on her. Certainly more effervescent than Dita trying to be my mistress tonight. Trial and error? I'll say. That being said: it's still a staple of 80's themed Halloween costumes to this day. She should be proud. She (or her and or Maripol) created so many "new" looks, like underwear as outerwear, heaps of jewellery, make-up, but applied differently (sluttish, of course), but mixed with "virginal" ie: white chiffon wedding dresses, etc. 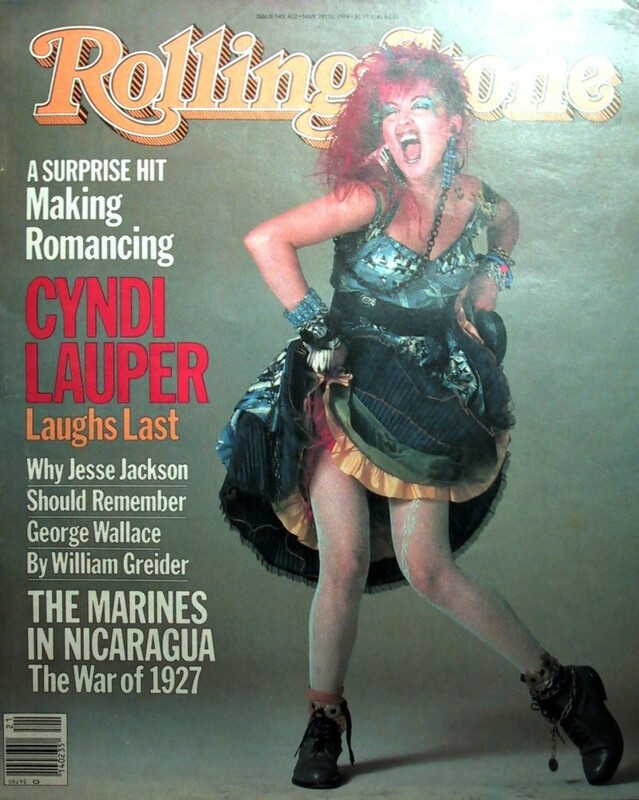 All part of her huge appeal... Cyndi Lauper deserves mention here too...although her look was more "second-hand store kooky" than anything; or a little weird! A little weird? There's no "little" about it. No wonder Madonna did better: she had a real icy power and mischievous sexuality that, er, that thing doesn't have. Edit: my reliable sources inform me that that IS Cyndi Lauper. Well I'll be. Now, now Brad. Cyndi actually, initially, did better. 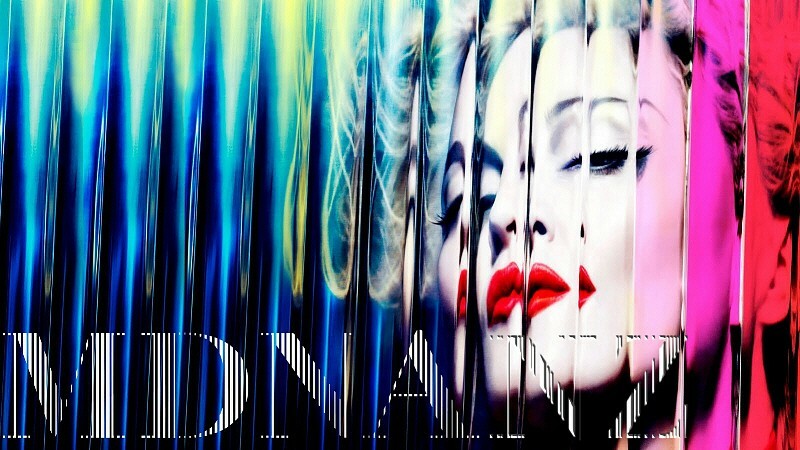 (She won the 1985 Grammy for Best New Artist & had 5 top 5 singles from She's So Unusual). That sure is her, that picture was actually from the photo shoot for her first Rolling Stone cover in 1984. Do you like this pic better?